Sending bulk SMS online has never been easier or more accessible than right now. There are plenty of sending options, such as Email to SMS, which are available for businesses of all sizes. Email-To-SMS allows a business or individual to send SMS messages directly to a customers mobile device from their email platform. The simplicity lies in the technology - by converting standard emails to text messages, businesses save time and money by managing all of their communications in one place. 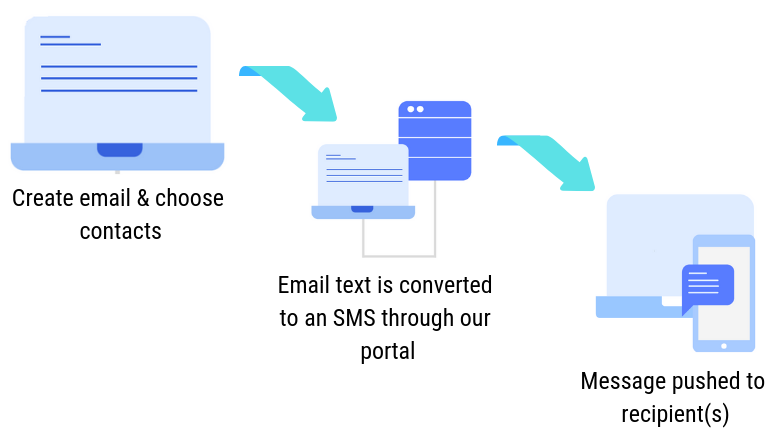 Email to SMS is an API that works by accepting emails sent to a specific address (for example: xxxxx@email.smsglobal.com ), transforming them into an SMS compatible format and then pushing the message out to the intended recipient(s). Sending individually or in bulk, the technology will ensure your message gets delivered. Which platforms will it work with? 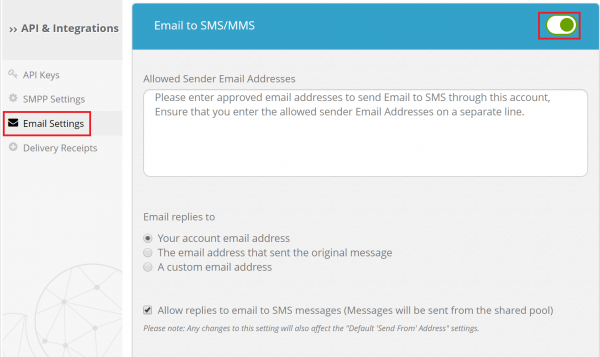 The Email to SMS API can be set up with any email-compatible platform. 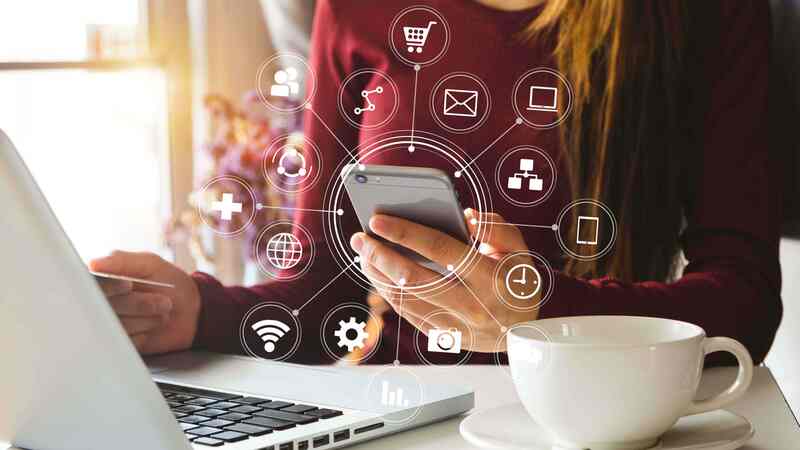 You can send from a personalized email platform such as Outlook, AOL or Gmail, as well as external programs, third-party software or external plugins. Put simply; if you can send an email from it, you can send an SMS from it! Simple software integration: Combine your existing systems with our SMS platform to reach your customers, Email-To-SMS provides a seamless convergence to ensure your message is heard. Share the load: Through SMSGlobal, you can set up your account configuration to allow access to multiple users on multiple accounts, enabling you to send Email to SMS across your business. Save time and resources: Email-To-SMS is integrated into your current systems, so it doesn’t require any new software, staff investment or training. Simplify your communication: Keep all your incoming and outgoing email and SMS messaging in one place for simplified communication. Full reporting: Receive instant delivery receipts to give you peace of mind that your Email to SMS campaigns are being heard. A hairdressing salon chain contacted SMSGlobal to help reduce no-show rates at appointments. They were losing business on empty time slots whilst staff were wasting hours of their time rescheduling missed appointments. SMSGlobal helped the hairdressing chain set up an Email to SMS workflow which reduced no-shows by 50%. Automated SMS reminders were sent out to customers and requested a response to confirm attendance. The replies were then forwarded directly to each salon’s email address. Are you ready to start your Email to SMS campaign? 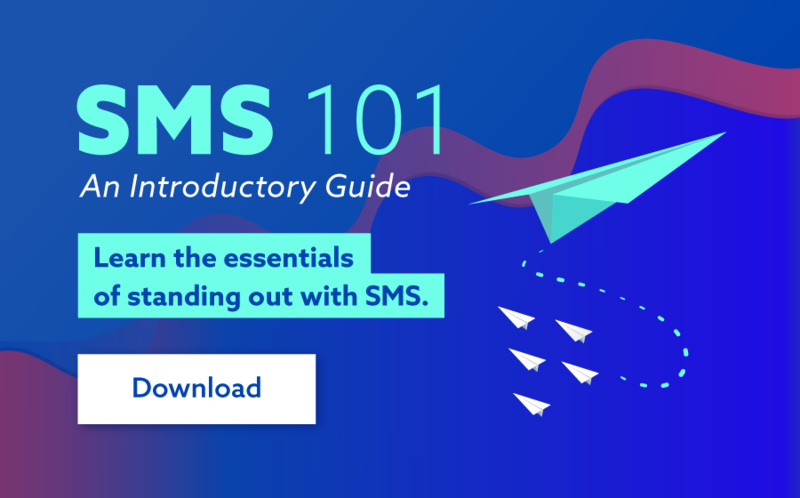 Here are a few steps to help you begin your SMS communications today! Do you want to easily send bulk Email to SMS to multiple contacts at once? 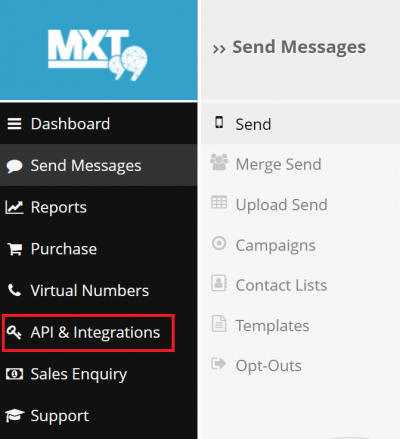 Learn how to set up contact groups in MXT here.